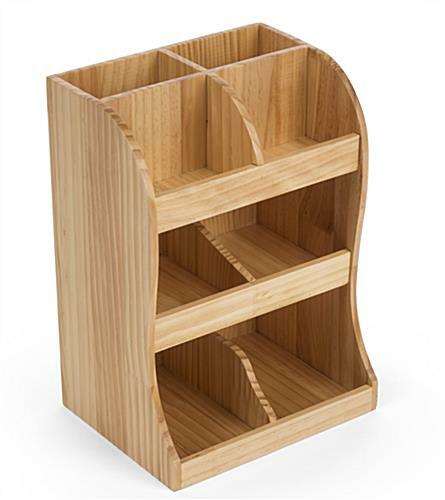 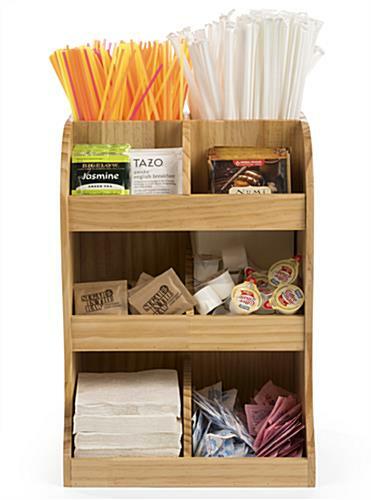 This coffee station wood condiment organizer utilizes a vertical design to free up space on your countertop. 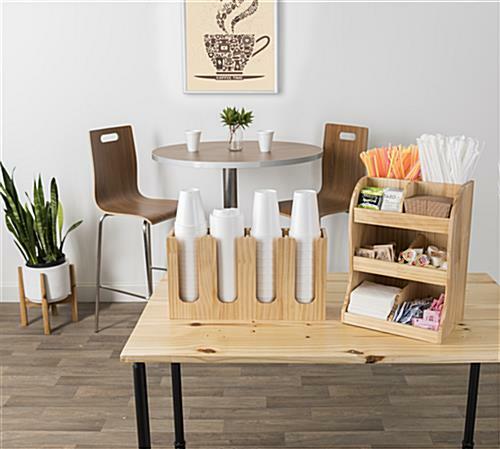 The front pockets act as a napkin and packet dispenser while the upper and rear compartments hold tea bags, straws, stirrers and more. 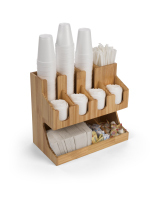 This three-tiered countertop coffee station condiment organizer has a natural pine finish that helps to create a contemporary atmosphere in any restaurant or café. 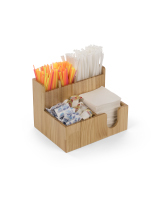 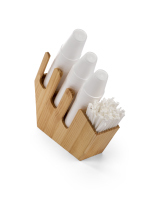 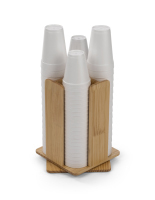 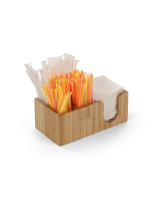 Refilling the straw caddy compartments is simple, thanks to their open-top design. 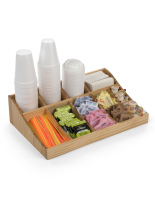 The tiered, vertical layout ensures that all your supplies are visible and easily accessible. 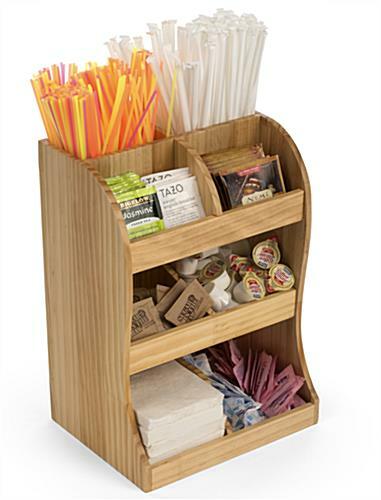 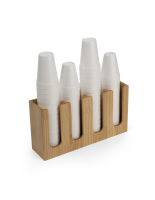 This coffee condiment organizer is a stylish way to keep your self-serve beverage area neat and tidy. 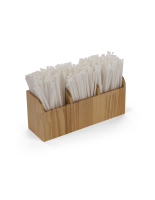 11.0" x 15.5" x 8.6"
5.0" x 3.0" x 6.3"
5.0" x 4.0" x 3.1"
5.0" x 3.3" x 8.0"